Due to exceptional demands across the country for production / manufacturing staff, particularly within engineering in general, it’s never been as important to consider how you fare amongst competitors and identify how you can differentiate yourselves in order to attract the best possible talent into your business. CNC Machinists and Inspectors for example can afford to be much more selective about their next job move than ever before. So the total package / work life balance you offer will need to be as competitive as possible. The challenge here is that no two packages within the industry tend to be the same given the amount of potential add-ons production personnel can receive. Identifying candidates’ key motivators for a move is therefore extremely important when assessing their suitability all-round and determining what they perceive to be a competitive package. 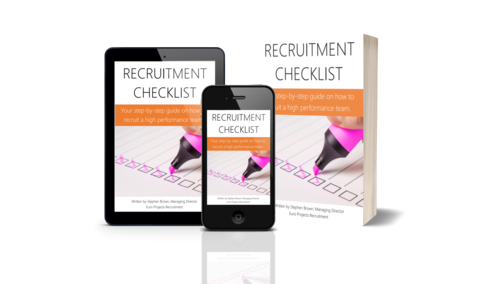 I have summarised 5 key challenges to bear in mind which I have found frequently impact the recruitment process within this particular discipline. Shifts – Whilst they can prove very problematic for certain candidates, they can also be of huge benefit to the right person depending on his or her commitments. When shifts begin to rotate and disrupt a routine then that’s when it proves very tricky to attract staff and will restrict your options significantly. However, separate permanent shifts, e.g. a fixed nightshift, may be ideal for such factors as childcare and earning a consistently higher premium. If possible, the best advice would be to fix shifts whenever possible to help boost your chances of both attracting the right person and retaining them into the future. Bear in mind the above premiums when discussing their existing shift patterns too and how they compare to what you may potentially offer them. Overtime – It’s not for everyone but for the right person overtime opportunities can be the main way of earning an extremely lucrative package. Adapt your adverts / interviews accordingly with this in mind and assess a potential candidate’s view on overtime early within the recruitment process. If overtime is mandatory within your business but the star candidate has family/social commitments that will restrict them, then it will ultimately cause a huge sticking point which is hard to overcome on both sides. Likewise if someone is open to increased overtime then sell on this more so, particularly if you offer a higher rate of overtime 01530 833825 j.parker@europrojects.co.uk than the wider market. Gauge their interest around this as early as possible and tailor the process accordingly and increase their engagement. Location – Whilst locality is always important, this is even more of an influencer at a production level than other areas within the business. As fuel costs continue to grow and opportunities for overtime exist, the closer you are situated to a candidate the more costs they can save in travel and the more they can earn through additional overtime against a longer commute elsewhere. Both of these would have a significant effect on overall earnings and greatly increase attraction. Typically we would advise recruiting within a 10 – 15 mile limit. The exception to this would be unless a candidate has personal pulls to relocate towards the area, or if they are working a shift based outside of rush hour / less days across a standard 5 day week. Speed to interview – Velocity to arrange an interview and deliver feedback will dramatically boost your chances of success. Given most production workers are paid weekly, they typically have a 1 – 2 week notice period on average. As most positions at this level comprise of only one interview, we are finding that the recruitment process can be as short as 1 week from starting a job search to commencing new employment elsewhere. By reacting quickly you stand a much greater chance of making an impact ahead of the competition. Prepare for a counter offer – As highlighted earlier, it’s never been a better time for a CNC Machinist / Production Engineer to find a new job. The skills shortage continues to widen and an existing employer will be desperate to keep hold of their best employees at all costs. When delivering an offer to your chosen employee bear this in mind and be as competitive / flexible as you can within the market. A typical question we often ask to help assess the possibility of a counter offer is “how will your current employer react to you handing in your notice?” By gathering these soundbites you can help plan better and potentially tailor an offer accordingly. If you would like to receive any further information around this subject, or to discuss where you may be struggling within your recruitment process, then please do get in touch and I’ll always be happy to help.